No one in their right mind would suggest this would they? Of course not. But a recent pamphlet written by Professor Andrew Ashworth and published by the Howard League for Penal Reform argues that in most cases involving what he calls ‘pure property offences’ such as theft, handling of stolen goods, criminal damage and fraud, use of imprisonment should be stopped. He uses three principal arguments to support this apparently startling proposition. First, he argues that there would be more chance of getting compensation paid to the victims of such crimes if the perpetrators were not banged up in jail, unable to continue to earn the money to pay the compensation. Second, he argues that the community sentences that are now available to courts are much more stringent than they used to be, requiring those convicted to undertake work in the community, be subject to curfews and so on. Third, such a policy would have a profound effect on prisons. At the moment, 20,000 people go to prison each year for theft or handling stolen goods (more than for any other crime), 5,000 for fraud and 1,000 for criminal damage. Giving people who commit these crimes financial penalties to compensate victims and community sentences rather than custody would reduce the sentenced male prison population by 8 per cent (5,000 men) and sentenced female prison population by 21 per cent (700 women). This would save approximately £230 million each year. Initial Government reaction has been to state that there is no current intention to change the law. But this does not mean that these ideas are not worth considering seriously. Professor Ashworth is no ivory tower academic; he was for a number of years a member of the Sentencing Advisory Panel, latterly its Chair, before its functions were taken over by the Sentencing Guidance Council. He understands the practicalities and the political realities of making such proposals. However, I think it is unlikely that they will be taken seriously until there is much more general public information about how community sentences work and why they are not just a ‘soft option’. As I argue in the book, it is hard to find a truly informed, rational debate on sentencing policy in the public media. 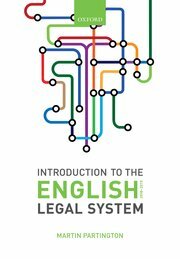 To read Professor Ashworth’s Pamphlet in full, go to http://www.howardleague.org/online-publications/It is a free download, but you need to register first.